Making the most of 2019 – Taking Action to make this year your year! To all our dear readers, students, colleagues and friends, on behalf of Access2Learn, I wish all of you a very Happy New Year! I do hope you found some time to unwind and relax a little before we begin the new academic year, or work year depending on your situation – after all, relaxation is but one ingredient for having a successful and happy 2019 … but more on that in just a bit. I don’t know about you, dear reader, but I personally am delighted to be starting a new year. It wouldn’t be appropriate to put the full details in this blog, but suffice to say, I’m not sad to see 2018 go – not one little bit. One good thing about 2018 though; it gave me a great deal of perspective, which I hope will be of use to you in making the most of 2019! Over the course of this New Year, you might find yourself on any number of figurative ‘journeys of a thousand miles’ – challenges to which the solution is seldom easy or straight-forward. If you’re anything like me (maybe you have a mental health condition such as Anxiety), the mere thought of embarking on this journey – and the millions of ways it could go pear-shaped – will be enough to leave you feeling consumed with doubt and despair. But even the simplest action – the all-important single step with which the journey begins – will bring you closer to accomplishing the goal. It might be study-related, disability/mental health-related, or it might just be a personal goal of your own discretion … but taking action tends to breed more action – when you feel yourself gaining momentum and making tangible progress, however steady, it’s not hard to feel good about yourself. Keep this point in mind, and you will be able to achieve any goal you set in the end, and your mental wellbeing will be better for simply keeping in motion. The best thing about this – you can apply this lesson to just about anything – academia, mental health, personal goals etc. Having a problem with revision or study? Start by identifying the specific nature of the said problem, then try asking your tutors for advice, or your classmates, or your faculty. Maybe try Googling it, or looking on YouTube. Doesn’t much matter where you start, the important thing is you made the start. Similarly, if you’re having a problem with low mental health or stress, which is often a multicausal problem, it would be an excellent start to consult your GP, or perhaps a therapist, or a close friend or family member; you might just want to make a mind-map of all the things bothering you and tackle each issue as you see fit. Again, how and where you start is up to your discretion, but the worst thing you can possibly do is nothing. That is not to say that you should work yourself so hard this year that you burn out – more isn’t always better after all. Action must be affirmative as well, and doing things in excess rather than with precision and thought is seldom affirmative – for example, studying so hard that you can’t take anything in. Do not forget this year to be kind to yourself and to relax when you can – after all, ironic as it may sound, relaxation from time to time is itself a form of affirmative action when you think about it. Without it, you won’t be able to spend any energy on any other action and you’ll simply burn out. For the final point, this is going to sound unbearably cliché too, but as with the first point, I cannot stress this one enough; Don’t be afraid to fail. I can almost hear the crickets singing in the background. “Seriously, that’s it? !” you must be thinking. Let’s face it, no one likes to fail … no-one I know of anyway. For some, failure is a phobia … a deep-rooted fear that can leave some paralysed. 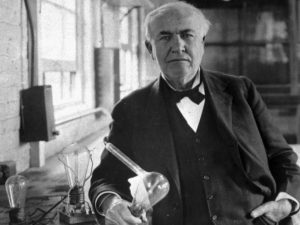 But the truth about failure is that, like enormous spiders, it’s a fact of life. Like spiders, it may scare the pants off of you, but a fact of life it remains. We all fail from time to time, it’s inevitable. So why be afraid of the inevitable? Even if you do nothing, you’re still failing – in fact, in my experience, doing nothing is the worst form of failure. 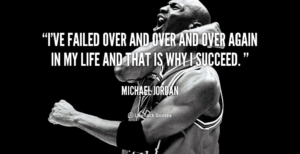 Since failure is a fact of life, why not take it in stride? Why not learn from it? 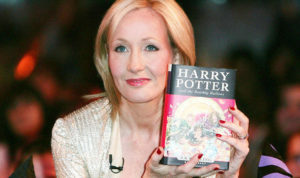 obvious reasons, but it amazed me to find out that her book was rejected 12 times by publishers before she managed to release the first book. Imagine that! The Harry Potter books, rejected 12 times! Thank goodness Rowling never gave up in the face of what must have felt like routine failure, or we’d have really missed out! Who knows what you might accomplish this year, academically, professionally, even personally? Who knows how many times you will fail, or how spectacularly? Ultimately, it doesn’t matter, does it? Failure is just a twist on the road to success, and you will get there if you keep walking! But I hope this blog has given you some idea of how to make 2019 your year. Who knows what challenges and opportunities the New Year will throw your way? But remember, no matter how big the challenges are, you only need to act once to make the challenge smaller. 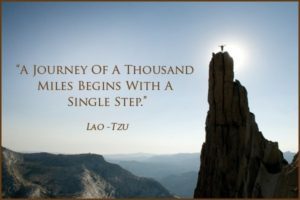 The first step is always the most important, but once you’ve done it, you can move on the second, then the third … and eventually the hundredth! As you go, remember to credit yourself and relax when you can. But final point, particularly for those like me who suffer from low mental health; don’t spend too much time thinking about it. Yes, thinking and planning is important, but spend too much time in your head and you’ll find Anxiety and Depression rearing their ugly heads! Once again, a very Happy New Year to you all, and we really hope that this year is your year! Welcome, dear reader, to a most important edition of Access2Learn’s blog. Did you by any chance know that each year on the 3rd December, the UN recognised International Day of Persons with Disabilities takes place? No? Truth be told, that is a guess, as nobody I have asked thus far has even heard of such a day, let alone knew when it took place. Kind of a shame, isn’t it? It’s an important day for over 10 million people in the UK and nearly 40 million across Europe – and chances are very few of them even know it exists. Incidentally, the theme of this year’s IDPD is the empowerment of people with disabilities and the removal of barriers from their progress. The ethos of this day can be summarised in one simple and yet powerful line: “Disability equals Diversity, not Disadvantage” (If that doesn’t deserve to be a hashtag, I don’t know what does – #diversitynotdisadvantage). Yet as I said before, very few people even know that the day exists, which perhaps highlights one of the biggest barriers to those with a disability, both within UN countries and without – the attitudinal barrier. In my own experience as a jobseeker with an invisible disability, I could pretty much count on my application being rejected if I made any mention of my condition – with the obvious exception of my current job, for which I am extremely grateful. The only work I could get was washing dishes at a local pub – hardly fitting work for a university graduate, but as far as anyone else was concerned, that was the only work I was fit for. Nobody wanted to take a risk hiring someone with Autism for any meaningful job. I can only imagine that they saw the word ‘Autism’ on my CV, or heard it at job interviews, and immediately a red light started flashing in their minds. Funny, because in my experience, Autism has been less of a ‘disability’ and more of a gift to my intellect than anything, even with the lacking in social instinct and sensory sensitivity. But nope, no-one else thought of it that way. Is this unique to me? Not according to the ONS, who suggest an employment gap between disabled and non-disabled people of working age of over 30%. Just under a third larger. More disturbing still, according to the site Disability Sport, more than 40% of people think of the disabled as a social burden, with 180 disability hate crimes committed per day. If that isn’t disturbing, ladies and gentlemen, I don’t know what is. 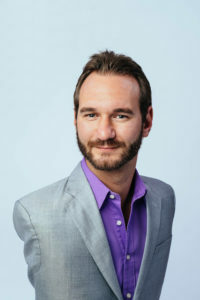 Nick Vuljecic, born with Tetra-Amelia Syndrome, a rare disorder characterised by the absence of arms and legs. As someone who developed Anxiety in his pre-pubescent years and has had Autism since birth, I earnestly believe that the mistaken perception of those with disabilities is the major barrier to us. Even the term ‘disability’ in itself can be seen as part of the problem. People think of that word and immediately think ‘less than’ or ‘incapable’ … the latter is literal translation of the word ‘disabled’. The truth, ladies and gentlemen, could not be more different. Everyone – and ‘by everyone’, I literally mean every human on the planet – everyone faces struggles and barriers unique to them. “Disabilities”, invisible and visible, affect at least 10% of the UK population alone. Mental illness can affect any human being on Earth. It’s a fact. So many across the world have some kind of condition that makes them seem apart from the rest. But because of the label ‘disability’ and the stigma that naturally goes with it, so much talent goes ignored and wasted. Why? Because we judge others for their problems, instead of looking at people for who they truly are. Autism has given me perspective, perspicacity, insightfulness and an unmatched alacrity and capability for my areas of interest. According to the good people who diagnosed me, my command of the English language exceeds 90% of the country. So should I be judged for my lack of social skill or my inability to engage with tasks that don’t stimulate my brain? Anxiety might make me appear cowardly and awkward on the surface, but it has taught me compassion, respect, caution and above all else, strength. Yes, I said strength. Despite my fear, I found the courage to go to university, to enter the world of work and to hold my nerve together long enough to pass my first driving test. Why, then, should I be thought less of because I get nervous in some situations, or because of my inner demons? Dyslexia, with the problems it causes in conventional learning, gives the world creative genius and outside the box thinking. Fibromyalgia and Chronic Pain makes tough, adaptive modern day Spartans of those who adapt to living in constant pain. PTSD, Depression, bi-polar, all other forms of mental illness – these teach us compassion and courage. Dwarfs like Peter Dinklage show us how to tower over the rest with talent. OCD gives us obsessive conviction and compulsive excellence. Some of the finest athletes in the world use a wheelchair. Maybe you’ll remember this next time you come across someone who is ‘disabled’. Thus I submit to you that everyone has problems of some kind or another, and that ‘disabled’ people are no different. Just because our problems might be more visible, we are not really that different from anyone else. People are diverse in so many ways; ethnicity, height, weight, sexuality, nationality, what football team they support, what starter Pokemon they choose … others are Autistic, Dyslexic, wheelchair users etc. My point is that these things that make us different are simply another form of variation that makes the world go round. Yes, we have unique problems, but we also have unique strengths. On that point alone, that doesn’t make us much different from anyone else. What people call “disabilities” are just another form of diversity. In other words, we are Diverse, not Disadvantaged, and it’s time that was understood by the world. Diversity, not Disadvantage; whoever coined that phrase must have an IQ of 600. 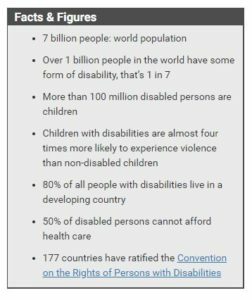 You can find out more about the UN’s International Day of Persons with Disabilities by visiting their website, and using #diversitynotdisadvantage on Social Media. The topic of this very special week, dear reader – anti-bullying – is a subject very near and dear to my own heart, given my … well, my past experiences of being bullied. Some of you might have your own bullying horror stories to tell, therefore you know all about the damage it can do, physically in some cases, but in nearly all cases it causes significant internal damage to one’s self-esteem – damage that can last for years, even decades if no intervention is made. For your sake, dear reader, I will refrain from talking in great detail about my own experience, as it will be nigh impossible for me to remain objective. I might be stating the obvious here or simply preaching to the choir, but the dangers of bullying to the victim and perpetrator alike simply cannot be overstated. The damage to the victim should be obvious – being the target of insults, intimidation, exclusion and perhaps at worst, violence that one feels helpless against can lead to feelings of insecurity, low self-esteem and serious cases of Anxiety, Depression, PTSD … and the longer it goes on, it can even result in self-harm. Bullies themselves are also at risk, forming detrimental habits well into adulthood, such as violence or substance abuse, though some do benefit from this horrible practice with the increase in artificial ‘social standing’ – being the cool kid, as it were. 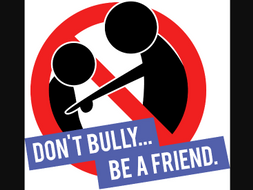 In any case, bullying needs to end – and action must be taken to prevent it. Fortunately, in this day and age, there exist a number of options for victims of bullying to seek help. The Anti-Bullying Alliance, organisers of this most important week, are dedicated to fighting back against bullying in all its forms, and can offer advice and support to victims who visit their website. If you are being bullied for being disabled, invisible or otherwise, as I was, chances are you can speak to an advisor at a local or national charity. For example, in the case of Autism, you can speak to someone at the National Autistic Society, or if you’re local to Essex and live near to Colchester, you might speak to the good people at Autism Anglia via their Autism Advice Service. Ideally, if you’re at school or work, you will be able to speak to your teacher or your boss about what is going on and have it swiftly dealt with by those in a position of authority. The main thing to take away from this, speaking as someone who, well, let’s just say has extensive experience of being a victim of bullying, is this; the absolute worst thing you can do is to stay quiet about it. The longer it goes on, bullying can cause serious adverse effects to its victims, including stress-induced sickness, loss of self-esteem and even risk of suicide. I’m writing this as a man of nearly 30 years of age. Despite all the great strides I’ve made in life, I still carry the scars of my childhood and adolescence. On that point, I cannot stress this enough; report it immediately. Speak to someone you trust, call a helpline, speak to an advisor, tell someone in a position of authority. The fight back against bullying starts when you make this first, all-important decision to speak up, which is why this point is so crucial. And if you’re worried about appearing ‘unmanly’ or ‘weak’ or if you’re upset about ‘not being able to fight your own battles’, don’t be. Bullying is cowardly by default, as by definition it requires someone in a position of strength to pick on someone more vulnerable. So why should you, the victim, be worried about such ridiculous standards? If a bully threatens you, this goes double – a threat or intimidation is in obvious and grievous violation of your basic rights. 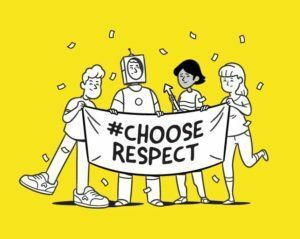 Ultimately, Choose Respect couldn’t be a more fitting theme for this year’s Anti-Bullying Week. No matter who you are, you are entitled to respect. If someone is making you feel lesser by insults, intimidation or violence, you have to make that first step of speaking up. For the act of speaking up in and of itself is an act of Choosing Respect. So if you are a victim of bullying, don’t delay, don’t debate in your head and most of all don’t let the bullies scare you … speak up about it, and choose respect. Not tomorrow, not next week, not when you feel less scared … #chooserespect NOW! And do not fear, as those of us who have been through bullying themselves will always support you. Since learning as recently as March that I have a diagnosis of Generalised Anxiety Disorder on top of being Autistic, dear readers, this week carries more personal significance for me than ever before. Much like coming to terms with my Autism back in 2011, my new diagnosis of Anxiety was a personal revelation for me. Beforehand, I had always wondered why I seemed to struggle so intensely with the most basic daily tasks; going to sleep, waking up, going to the shops, focusing on the simplest task, driving, you name it. Eventually, when I was diagnosed with Anxiety in March, it all made perfect sense. When I last went to the doctor about my anxiety issues, she talked my ear off about chemical reactions in the brain causing me to feel this way and proceeded to prescribe me medicine and recommended I get therapy, which as it happens I already was. While at first I kind of dismissed it as the inevitable medical jargon that kind of missed the point, as I felt my anxiety was being triggered by outside events, though upon reflection, it’s always just been kind of there, whether events are exasperating it or not. Perhaps it is the same for all mental health sufferers, though I would not presume to speak for them. With this year’s Mental Health Week’s theme being on the topic of stress, about as appropriate a theme as it gets, it got me thinking about how big a factor stress is in the lives of people who have to cope with a mental health condition and how it appears to affect us the most intensely. That’s not to say only people with Anxiety/Depression/Bipolar etc feel stress – that would be preposterous – however, as the doctor described to me, with chemical reactions going off in our brain, I daresay we feel it more acutely and more often. The result? As the Mental Health Foundation accurately describes, it is near-constant ‘fight or flight’ mode. Constant tension of the body and mind, as a result, constant feelings of exhaustion. Constant brain fog, constantly procrastinating, constant distraction. From personal experience, dear readers, I could give you a list that would last longer than The Simpsons, but I doubt you’d have the patience. Therefore, perhaps it would be best to simply skip ahead to some suggestions on how to combat stress. As Sun Tzu states in his book ‘The Art of War’, “know thyself, know thy enemy”. Rather ironically, both you and the stress you feel play both roles; the mental health condition, as well as the accompanying stress, are part of you, yet inextricably they are both enemies to be defeated. So how do you defeat this internal enemy, as it were? In my humble opinion, the first step to resolving the problem is to come to terms with it. Self-awareness. Realisation and acceptance of reality. How many times have you found yourself tossing and turning in bed, desperately trying to sleep, only to find you’ve overslept and are late for work again? How many times have you tried your hardest to focus on your work, only to be overpowered by the overwhelming need to procrastinate? When this happens, it’s time to accept reality; you’re stressed. “Know thyself, know thy enemy”. This is the all important first step. Stress accounts for 23.9 working days lost for each person affected every year according to the Mental Health Foundation, who also find in a poll of over 4,000 people that 74% have felt so stressed that they couldn’t cope. Given those statistics, if you’re worried about appearing weak by admitting to stress, dear reader, don’t be. You’re hardly alone. Since we’re now well into 2018, we should be able to be honest with ourselves and those around us about our stress. Once we’ve recognised the problem, we can take action. When we have taken a mental inventory and come to terms with our stress, the best thing to do is seek help. What kind of help? Usually, the best help is the kind that helps you put your problems into perspective and help you arrive at a constructive solution. For example, it might be as simple as talking to a family member or a close friend that you can trust implicitly. It might also be your GP. You could also turn to the Samaritans for help, or perhaps if you require advice related to a specific disability/mental health condition, most related charities have a helpline or an advice service you can call or email. I personally have turned to the Samaritans and Autism Anglia’s advice service many times. More recently, I have also attended therapy sessions and counselling, both of which have helped me immensely in dealing with the triggers of my stress by arriving at constructive conclusions. Am I saying counselling/therapy will irrefutably work for everyone, as it has for me? No. Would I recommend it? 100% yes. In fact, I’d recommend any and all of them. Different things will work for different people … for some people, it might be as simple as a good workout at the gym, or a nice long walk. I myself have had a couple of personal epiphanies while out for one of my nightly walks, or soaking in a nice hot bath. Sometimes that’s all you need to put things into perspective. But no matter what you do, dear readers, the important thing to take away from Mental Health Week 2018 is to Address Your Stress! The absolute worst thing you can do with stress is ignore it, go into denial or just ‘man up’ and ‘tough it out’ while the stress erodes your mental wellbeing. Surely if I were walking around with an open wound or some manner of physical injury, you’d tell me to see a doctor right? Well, I submit to you that mental stress is no different from any injury … and it makes no sense not to get it treated. As I said before, it’s 2018 now … well past time we put this outdated stigma towards getting help to bed. So if you’re feeling stressed, I’d like to let you know that you are not alone, and it’s ok to get help! The Student Consultant team of Access2Learn; who are we? What is our purpose? What on Earth am I talking about when I introduce myself as a Student Consultant, dear reader? Usually, when people hear that job title, they give me a blank look, as if I’d just said, “world’s leading expert of being unable to think of a good joke” … which incidentally, I am. Awful jokes aside, I for one think it’s very important for disabled students at university, especially ones who apply for Disabled Students Allowances, and their universities as well, to know what a Student Consultant is and what we have to offer. Now true, I could be just a tad biased, seeing as I am one – but since Access2Learn was founded nearly a year and a half ago, the Student Consultant role has been majorly important to the company itself and the students we worked for. So to answer question one – what is a Student Consultant? Well, the role itself was the brainchild of our founder Hayley who has worked in the DSA industry for many years and seen it go from strength to strength. In a chance conversation that led to my employment with Access2Learn, Hayley and I both agreed that more needed to be done to help students before, during and long after the DSA process. What do I mean? In my own days as a student claiming DSA, I found myself wasting what could have been one of my greatest DSA provisions – reimbursement for printer paper and ink. Why? I, like many other students as I have discovered doing my job, overwhelmed with all the emails and information, managed to lose the email/letter that instructed me on claiming the promised reimbursement. Unfortunately, I had no Student Consultant offering me advice and support in those days, so I didn’t know where to turn to and who to contact for help. So, the reimbursement ended up going to waste. During my year and a half approximately as the first Student Consultant, I had students come to me with all sorts of woes; difficulty navigating the DSA process, misunderstandings with a university that could have resulted in failure of the course, issues of mental health flaring to the point where a student was unable to bear attending exams, confusion or anxiety over how to claim equipment or reimbursement, applying to Student Finance for Compelling Personal Reasons … I could go on forever. Countless times I have offered advice on how to cope with the studying aspect of university, or whom to turn to for a specific need. A few times I have contacted their university’s Disability Team on their behalf. I have offered a sympathetic ear and an offer of intervention to students going through a difficult time. I once even supported a student with the designing a spreadsheet to help them organise their studies. Don’t get me wrong, DSA Assessors do their utmost to address student concerns, but they face the enormous task of assessing hundreds of students per month and writing all those reports, which leaves them little time to spare. The office managers are also readily available to answer any questions, but they are concerned with the endless demands of administration, booking assessments, payroll … you get the idea. Sadly, this for many years meant that students were left in the dark about the progress of their support arrangements, how to claim it and how to resolve any problems, which is sad because DSA is supposed to be all about the needs of the student. As a result of our conversation, Hayley and I both understood that this problem needed a solution – thus, Hayley offered me the first ever job as a Student Consultant! It was the answer to the long-overlooked problem with student interaction in DSA. We do for the student what the assessors and office managers cannot; we reach out to each and every student, to make them aware that help is available whenever needed. Help with what? It doesn’t matter, so long as it is related to needs of disability, mental health, study or the general needs of being a student. But the true source of our abilities to go above and beyond come from our personal experiences of being a disabled student. In order to qualify for the position of Student Consultant, you are required to be or have been a student with a disability/mental health condition that has also claimed DSA. Why? No one knows more about the hardships that disabled students face than disabled students themselves – and no one can relate better to someone currently going through a difficult time than someone who has been through the same thing. This is the philosophy behind my job – using my personal experiences of being a disabled student to help others going through what I went through. In conclusion, Access2Learn introduced the Student Consultant role for the purpose I have been rambling about in the last two paragraphs; to go above and beyond for the students we support. The Student Consultant role came into existence to take the existing support for students claiming DSA to the next level by bridging the gap in student participation. Access2Learn’s slogan, “Make Learning Yours” … it’s more than just a gimmick, dear reader. It’s a commitment. It’s our mission. We believe that no two students are alike; that everyone has individual needs to cater to. The Student Consultants are here for that reason; to reach out to the students, find out their individual needs and to help the students to the utmost of our abilities and experience. To truly make learning theirs, each and every student that books an assessment with A2L needs individual consideration. Our founders understood this, thus the Student Consultant team is here, ready to help our students Make Learning Theirs!